Of course, it was a match made in heaven. He he. 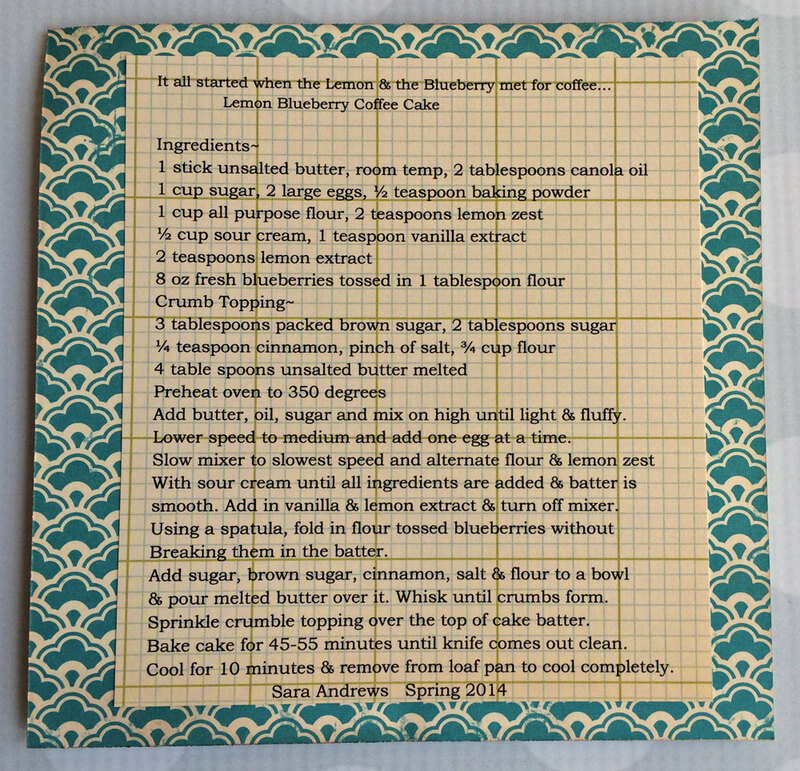 I chose a Lemon Blueberry Coffee Cake recipe for my Spring Recipe Card Swap. 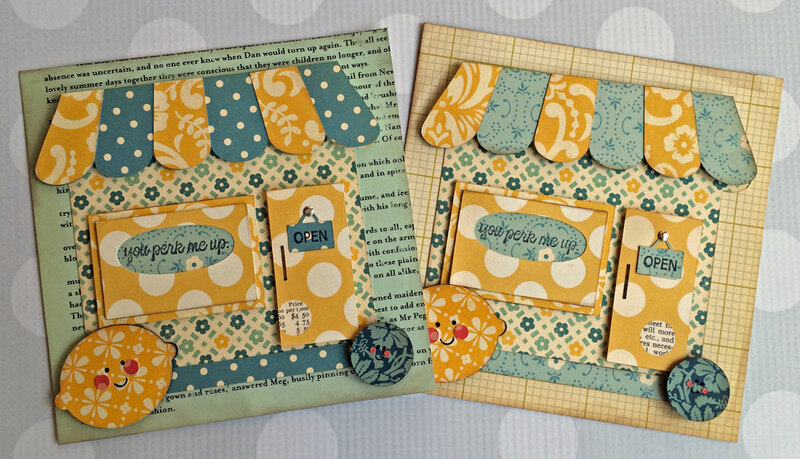 I’m trying to use my extensive October Afternoon stash, so I ended up with two cards with small variations. I found a cute little coffee shop to use as my base and simply added a stamped shop name and open sign. For some reason “you perk me up” reminded me of the coffee shop from the show Friends. 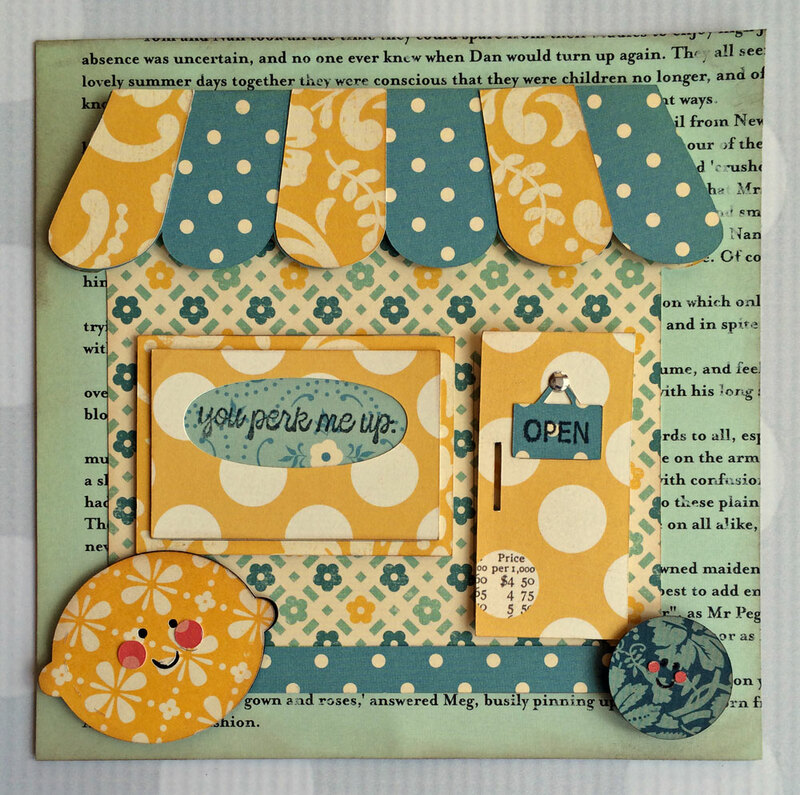 I then placed my lemon and blueberry heading into the meet for their date. Awww…. I know it’s silly, but that’s me. If you try this recipe, let me know if you think it’s a true happily ever after for these two. 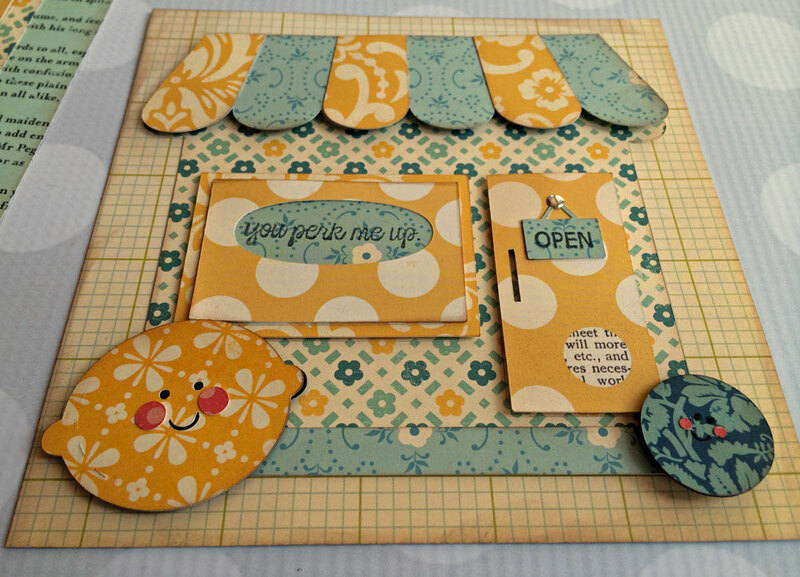 I love this card and all of the whimsy. The mix of pattern and color is perfect – and perfectly charming for the recipe. Which of by the way sounds fabulous! Darling and beautiful! 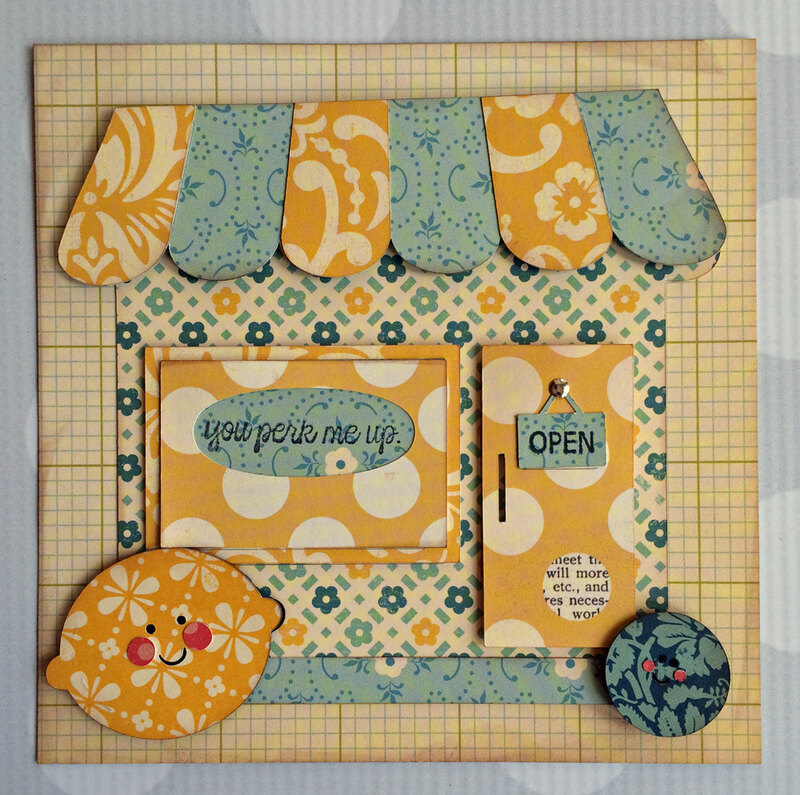 love your lemonade stand cards… great pattern mix. Such an adorable recipe card and I can’t wait to try this recipe out!